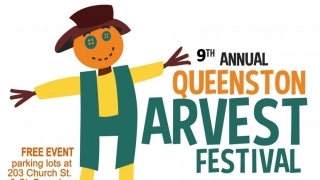 We are having our 9th annual Queenston Harvest Festival, where everyone is welcome. We will have food, music, crafts, kids activities, bike giveaway, mural painting and a fall photo booth. This is a celebration of the Queenston neighborhood and our community partners. The event will be held inside St. Barnabas Church, along Calvin Street and over at Bike me Up at 203 Queen Street. *There will be free giveaway of kids bikes as quantities allow.